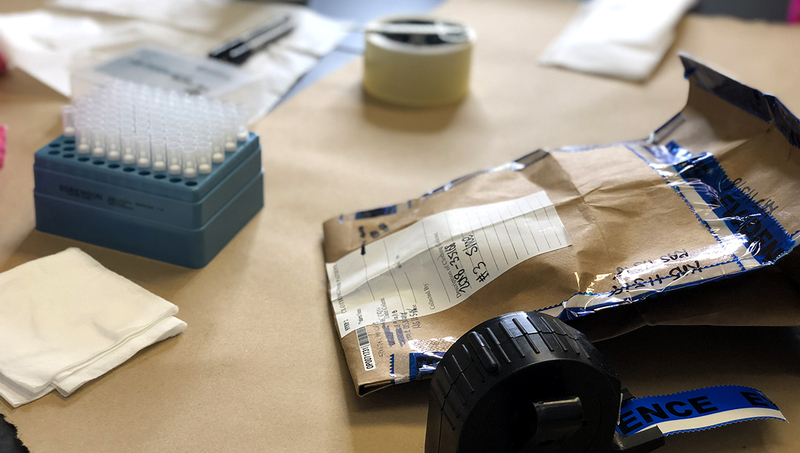 This term, Touch DNA, is fairly new to the forensic community and refers to DNA that has been transferred from someone’s skin to items, primarily through the act of handling, holding, and in general “touching” them. In the past, the sensitivity of the STR Analysis methods that were available in the community were not sufficient to obtain a DNA profile. However, due to improvements in the STR Analysis methods, Sorenson Forensics routinely processes evidence for touch DNA. From property crimes to cold homicide cases, we generate DNA profiles from samples with limited amounts of DNA. We also specialize in generating profiles from difficult or degraded samples. Swabbing of guns and shell casings. The team of forensic scientists here at Sorenson Forensics pursue a quality-centric directive. This passion for a quality first culture embodies our mission, drives our persistence and delivers our dedication to truth. We understand the signification and importance our work has on the lives it touches. We do not take this responsibility lightly, as a result, we have developed built-in redundancies for checks and balances, introduced unparalleled quality assurance measures, and optimized processes befitting our world-class laboratory status.